In What Order Should You Learn Guitar Chords? The Chord Genome database has over 350,000 guitar songs. And yet, you only need about 2,000 chords to play all these tunes. But as a beginner, which of those 2,000 chords should you learn first? You could always pick a song you really like and start practicing. That’s what most people do. But this approach often leads to frustration. That’s because the songs you like most are often the hardest ones to play. So you’ve gotta start simpler. Some folks approach the problem in batches. For example, they’ll begin with the natural majors (i.e. A, B, C, D, E, F, and G). And this is a great start. With those 7 chords, you can play a lot of easy tunes. As you continue adding flats, sharps, minors, etc., the universe of playable tunes expands quickly. But is this really the best approach? Learning A through G unlocks about 23,000 songs. And that’s a lot. But there are 7-chord combinations that allow you to play nearly 50,000 tunes – i.e. more than double. However, finding this perfect combination isn’t easy. In fact, it’s incredibly hard. With 2,000 chords to choose from, there are almost 126 sextillion different ways to combine 7 chords together. It would take an eternity to find that perfect combination. Chord Genome can figure out the right answer in seconds. 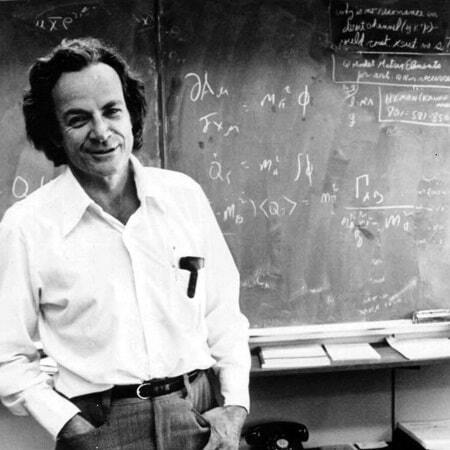 Enter Richard Feynman – one of the greatest problem-solvers the world has ever seen. He won the Nobel Prize for his work in theoretical physics. He helped pioneer quantum computing and nanotechnology. He figured out why NASA’s Challenger Shuttle exploded. Feynman also helped build the world’s first nuclear bomb during his time with the Manhattan Project. During WWII, the US military launched the Manhattan Project – a top secret mission to develop a nuclear bomb before the Nazis could. Given the secrecy involved, many of the scientists and engineers received a maximum security safe for storing documents. But Feynman wanted to know how secure these safes really were. Each safe came with a reinforced steel door. Each door had a dial that you had to twist 3 times – left-right-left. Each dial had 100 digits – numbered 0 to 99. The chances of guessing the right combination is literally one in a million (or 100 x 100 x 100). If you kept trying random combinations, it would take an average of 30 days to crack one of these safes. And that’s assuming you never slept, ate, or took breaks. And yet, Richard Feynman could break into these “top secret” safes in under 6 minutes. This video explains it far better than I can. Inspired by Feynman’s approach, we set out to do the same thing. Instead of trying to guess random combinations, we looked for a way to arrange all 2,000+ of our guitar chords in a logical order. And we wanted the calculation to be as fast as possible. At first, we decided to order chords based on their frequency. If “C major” appears more often than any other chord does, it’s clearly the most important one to learn. Ranking chords by frequency is useful for showing trends and patterns. But it can’t show you the best chords to learn as a beginner. There are lots of high-frequency chords that only appear in more difficult songs. You can learn those chords if you want. But you won’t get very far. So we needed a different approach. The next time around, we decided to simplify the process. We imagined a beginner who doesn’t know any chords at all. What guitar chord should he learn first? Well, Michael should learn whatever chord allows him to play the most tunes. The more song variety he has, the less bored he’ll become. Michael should learn whatever chord appears most frequently in the list of 1-chord songs. Doing so unlocks the most playable tunes for him. When Michael’s ready to improve, he should focus on whatever chord can help him play the most 2-chord and 1-chord songs. Michael should then learn whatever chord unlocks the most 3-chord, 2-chord, and 1-chord tunes. Rinse and repeat until there are no more guitar chords to add. Michael can finally play the entire database of 350,000+ songs. But what if he isn’t a beginner? What if Michael already knows a random list of guitar chords? As this article explains, the above method still works regardless of Michael’s skill level or prior knowledge. 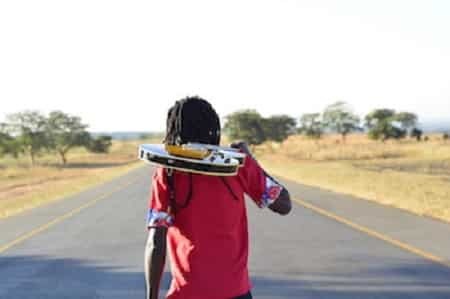 No matter how many guitar chords you already know, there is always a Next Best Chord to learn – i.e. one that will unlock the most playable songs. And Chord Genome is able to calculate this in mere seconds. You don’t have to follow the sequence that Chord Genome recommends. Many guitarists have found success using other chord-learning approaches. For example, learning the 7 chords – A, B, C, D, E, F, and G – allows you to play 23,000 songs. And that’s a solid start. But thanks to Chord Genome, you can do better. You can play 12,000 tunes using just 4 chords (G, C, D, and Em). Using only 7 chords, you can play nearly 48,000 songs. With the right 23 chords, you can play about 178,000 tunes, which is more than half the total database. Chord Genome completely removes any guesswork by…. Automatically feeding you the most important chords in the most logical order. Follow this system, and you’ll discover more playable guitar songs than you ever thought possible. In fact, you’ll need to use Chord Genome’s genre and decade filters to help manage the flood of results. Better still, you’ll grow as a musician as your repertoire expands in scope and in complexity. If you’d like to learn more about how the Next Best Chord feature works, be sure to read this companion article here. And if you haven’t already, create your free Chord Genome Account today. Tens of thousands of songs are waiting for you.